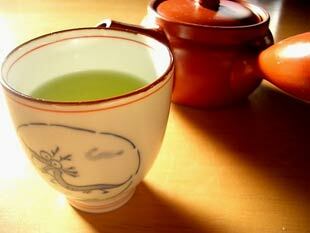 Next to water, green tea is the most consumed beverage in the world. Green Tea is one of the richest natural sources of antioxidants and is loaded with vitamins and minerals. 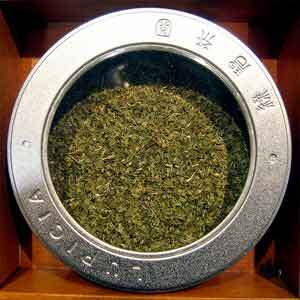 The leaves of a plant called Camellia Sinensis are processed to make tea. Green, Black and Oolong Tea are all derived from Camellia Sinensis and differ only in their processing. Many studies show that green tea extracts help maintain cellular DNA and membrane structural integrity and inhibit the development of undesirable cell colonies. Green Tea contains powerful antioxidants called Polyphenols (catechins and flavanols), the most powerful of which are epigallocatechin gallate (EGCG). EGCG is twenty-five to a hundred times more potent an antioxidant than Vitamins C and E. One cup of Green Tea has more antioxidants than a serving of broccoli, spinach, carrots or strawberries. These antioxidants protect the body from free radical damage resulting from oxidation. Furthermore studies done in Spain and England found that Green Tea works in a similar fashion to the anti-cancer drug Methotrexate. Green Tea's EGCG content is approximately five times greater than that of Black Tea. The majority of research on Green Tea focuses on cancer prevention. Animal, human and test tube studies indicated that Green Tea may reduce the risk of prostate, breast, esophageal, lung, skin, pancreatic and bladder cancers. According to an article in the Internal Medicine World Report of September of 2005 it is theorized that ECGC seems to target one protein (Hsp90), a pervasive protein that is common throughout our bodies and is also found in many cancer cells. By binding to Hsp90, ECGC prevents it from passing on signals that can start the cancer process. As a result harmful genes involved in the cascade of events leading to cancer are inhibited from turning on. In Asia where 3-4 cups and more of Green Tea are consumed daily the rate of cancer is much lower than when compared to America. There is mounting evidence that Green Tea may reduce the incidence of cardiovascular disease as well, including coronary heart disease, stroke, as well as hypertension. An article in the Archives of Internal Medicine in 2003 concluded that the Theoflavin-enriched Green Tea extract that was studied was an effective adjunct to a low saturated fat diet to reduce the bad cholesterol (LDL-C) in patients with increased cholesterol levels. Newer research on Green Tea has suggested that it promotes weight loss by favorably effecting lipid metabolism and stimulating thermogenesis (fat-burning). In a study documented in the American Journal Of Clinical Nutrition in 1999, daily consumption of Green Tea extracts was associated with an increase in the metabolic rate that was not explained by caffeine's effect alone. It appears that catechins and caffeine act synergistically. Concerning topical applications of Green Tea, an investigational ointment containing Green Tea extracts was showing to be effective in the treatment of genital warts. Complete clearance of the warts was demonstrated in approximately 54 percent of patients treated versus placebo. Current studies are underway to investigate the potential treatment of actinic keratoses. Green Tea's amino acid, L-theanine, is one of the few dietary substances that crosses the blood-brain barrier and is thought to have mood-modulating effects. While the exact mechanism of action is still under investigation it is thought that L-theanine provokes changes of amino acids effecting neurotransmitters including serotonin. In addition it is believed that L-theanine may act as a glutamate antagonist, glutamate being an excitatory neurotransmitter, as well as potentiating GABA (an inhibitory neurotransmitter) offering natural support for sleep, mood rejuvenation and relaxation. Finally, in a recent article in the Internal Medicine World Report (www.imwr.com) it was concluded that the use of Green Tea supplements appears to protect against inflammation of the urinary tract, and may be valuable as a treatment option in conditions such as interstitial cystitis in addition to preventing bladder cancer. These effects were found in drinking levels that could be achieved through simple dietary intake. While these findings were still preliminary it may be acceptable for primary care physicians to recommend two cups of Green Tea a day for men and women suffering from interstitial cystitis.